Chose Your Own Path Through Emotional Intelligence! Need an Expert? Happy Turkey-less Day to those who won’t be gobbling a gobbler! I continue as a pescatarian! My two younger adult children Jacob and ArinJune continue their vegetarian lifestyle. Not my oldest son Nick, for he’s an incredible meat eater! Although the no meat eating rubbed off on me many moons ago, I still enjoy eating fish (tuna mostly). I love the taste of turkey and found a delicious vegetarian roast that to me tastes just the same! My opinion counts! For this post, I want to write about a way to chose your own path. I’ll start with a link to a post when my daughter Arin started a new job at Walgreen’s. Over the two years she worked at Walgreen’s (she resigned earlier in 2014 to move on in different ways with her lifestyle), Arin had many customer experiences (including her days working as a host at Okoboji Grill as her first job, she knows a thing or two about customers) and I value her opinion! She’s shared many interesting retail shopper stories from her Walgreen’s days. The worst was one day, she turned around while at the cash register to get perfume out of the locked glass cabinets for a customer, when she turned back, “the customer” was racing out the store with Chanel No 5 or whatever it was, an expensive perfume in her hands, along with many other items, and right out the front door. Some shoppers are kind with good intentions…get in the store, find what you need, pay and get out of the store…all while being grateful and appreciative you found what you were looking for! Then there are other shoppers who seem to float around in a bubble without realizing their bubble is more of a brick! Some shoppers are demanding, have no regard for other shoppers or the retail clerk, and are even down right rude. Yuk! We all are continuously affected by the energy of other people in both positive and negative ways. 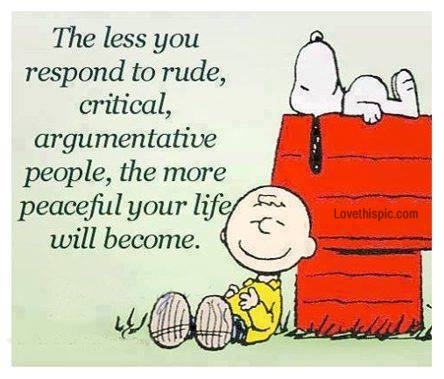 My daughter learned quickly that the less you respond to rude, critical, argumentative people, the more peaceful your life will become and the more productive you’ll be on the job! AJ’s goal at work: Help customers find, buy, and get out of the store with minimal distraction…along with an idea or two of how to get the customer to spend more money (especially products with incentives found within her own department, which gave Arin more in her paycheck!) This knowledge, my dear daughter, takes a certain level of emotional intelligence. Good for you! Emotional intelligence is a huge factor in my work as an expert witness. A very helpful and proactive way to limit how much we are affected in many settings and situations by where others are is a simple technique called being in your bubble. My sister Janice told me (and others) to get out of her bubble more than once! Using your bubble when you need to, or realizing others are using their own bubble, takes a level of emotional intelligence, kindness and grace. 1.) Spend a few moments with your eyes closed, quieting your thoughts. 2.) In your imagination create a big clear soap bubble all around you that is about a foot out from your body. 3.) 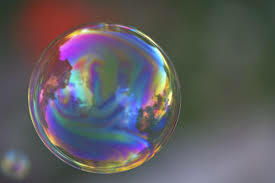 Notice yourself within this bubble, and acknowledge that any type of energy you don’t want to experience in your own body will be unable to get through the bubble, and will just bounce off. 4.) Walk through your day within your bubble. Take a look at the bubble periodically just to affirm that it is there, and recreate it whenever you want to. There’s great reasons to use this tool to manage the energy that bounces around us all of the time. It frees you up to create the experience(s) the way you choose, while leaving others free to their own expression. You won’t need to get into the struggle and discomfort of resisting what others are doing or thinking, because it happens outside of your bubble and doesn’t need to affect you. I hope your work week is productive, and you enjoy experiencing the energy that surrounds your work and home environments. If I can help you with expert testimony, please don’t hesitate to call me. I’ll value the opportunity to help. Previous Previous post: Want to Buy Some TIME From Me…a Consultant and an Educator? Next Next post: Alaska and Her Rehabilitation Plan…Patience Beyond that of a “Normal” Cat Owner!